All Islands Timeshare Resales is a licensed Hawaii Real Estate Broker established in 1993 specializing in the resale of timeshare interests in Hawaii. 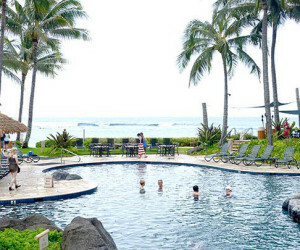 All Islands Timeshare Resales has sold timeshare intervals in every Hawaii timeshare resort over the past 22 years with thousands of sales for owners. Our staff of licensed sales professionals has a combined 60 years of timeshare experience and all are very versed in every timeshare project in Hawaii. 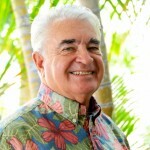 Douglas Lupton founded All Islands Timeshare Resales in 1992 in Hawaii. By the end of 1998 he operated 6 brokerage sites on four Hawaii islands in high traffic tourist locations. He first entered the timeshare industry with Glen Ivy Resorts in California in 1986 as a salesman. Hawaii being his primary residence since 1966, Lupton realized that with the growth of the timeshare industry and the number of timeshare resorts, there would necessarily be a need for a secondary market for timeshare owners to resell their interests. 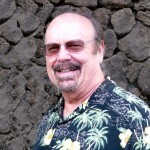 He founded All Islands Timeshare Resales on Kauai in 1992. Within four years he was operating six real estate licensed offices exclusively selling timeshare intervals for individuals, timeshare associations and lending institutions. Lupton has been a member of the American Resort Development Association (ARDA) since about 1995, and has earned ARDA’s designation of RRP, Registered Resort Professional. Lupton was the Co-Chair of ARDA’s Timeshare Resale Forum for two years and was instrumental in promoting the first ARDA Timeshare Resale Think Tank in Washington, the first of its kind and the largest Timeshare Resale meeting in ARDA’s history. Lupton joined ARDA at the request of the President of the ARDA-Hawaii Executive Committee In 1995 and has been a member of ARDA since. He has been effectively involved in the promotion of timeshare and timeshare resale issues at the Hawaii State Legislature for 18 years. His primary focus has been to protect timeshare owners from changes in laws effecting timeshare ownership, taxation, etc He has testified on behalf of timeshare owners at the City, County Council and the State legislature. Lupton was one of the founding members of the Licensed Timeshare Resales Brokers Association (LTRBA). The very existence of the LTRBA is proof that there is a strong association of licensed real estate brokerages nationwide assisting timeshare owners in the resale of their timeshare interests. With All Islands Timeshare Resales acting as Broker in transactions involving Hawaii timeshare resorts the individual interested in buying or selling has the knowledge that the transaction will be through a Hawaii licensed escrow company, a title search will be done to verify ownership and a title insurance policy will protect the purchaser after the transaction. All Islands Timeshare Resales is licensed by the state of Hawaii as a real estate broker and timeshare resale agent and meets Hawaii state law that requires companies engaged in timeshare resales be registered and licensed by the State of Hawaii. We work closely with many owner’s associations, real estate companies and are their company of choice to which they refer many of their owners, members and inquiries. All Islands Timeshare Resales is not just one of those advertising companies found on the internet, which companies are usually not licensed in the State of Hawaii as a real estate broker. Our company mission is to help timeshare owners list and sell their timeshare ownership intervals. We have a proven track record of sales having been in the business of selling timeshares for owners and Homeowner Associations since 1993. We maintain an extensive data base to the benefit of sellers and buyers. All Islands Timeshare Resales is commissioned upon a successful sale and paid only when escrow closes. Working on a commission basis, there are never any “upfront listing” fees. Of course, one would never pay upfront fees to sell their timeshare, home, condominium or anything else. All sales transactions are escrowed by a bonded and licensed title & escrow company with the transfer of a deed and title insurance issued being clear of any liens, back payments or encumbrances. It is a Hawaii law that all timeshare transactions for timeshare projects in the State of Hawaii use a bonded and licensed title and escrow company in Hawaii for escrow purposes. Owners purchasing a timeshare on the resale market will receive the same benefits as those buyers who bought from the developer. The difference is that there is no high pressure to attend a sales presentation and you may browse all properties and listings to find the best and right timeshare property for you with our help. You pay the true market/resale price of the timeshare established by buyers and sellers and not the inflated prices to cover the marketing costs of a timeshare developer, which costs may be 50% to 70% of a timeshare developer’s sales price. Buying on the resale market can save you thousands of dollars. All Islands Timeshare Resales has excellent placement on the Internet with the most comprehensive home page relating to Hawaiian timeshare resales. All Islands Timeshare Resales takes pride in our customer service and the assistance we provide to all our clients and customers. We look forward to working with you, whether from a seller’s or buyer’s standpoint. All Islands Timeshare Resales is your first choice for a licensed and experienced timeshare company in Hawaii.